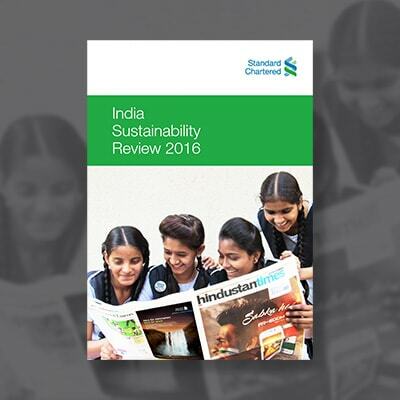 The Review highlights our progressive sustainability agenda and the key milestones achieved in 2017. We aim to create long-term value for a broad range of stakeholders. We enable individuals to grow and protect their wealth. We help businesses to trade, transact, invest and expand. 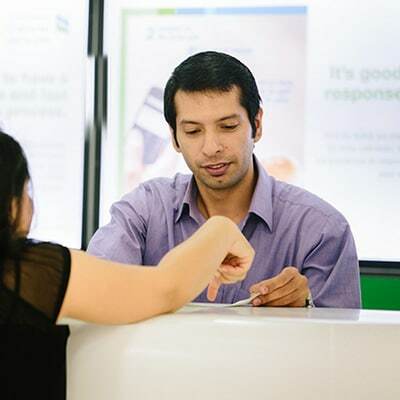 We also help a variety of financial institutions – including banks, public sector clients and development organisations – with their banking needs. Our strategy is dependent on our ability to develop deep, long-term relationships with our clients. We aim to deliver fair outcomes for clients by designing products and delivering services that meet their needs and are appropriate to their circumstances. Where issues arise, we aim to deal with complaints in a fast, fair and efficient way. We have sector-specific procedures and processes in place to handle client complaints in each business segment. In 2016, our global engagement with clients through surveys, client experience forums and third-party studies helped us identify a need to simplify processes. As a result, in 2017 we improved the customer experience across our businesses through continued investment in technology innovation and streamlined processes. The client satisfaction with our products and services is measured through the Net Promoter Score (NPS) surveys. 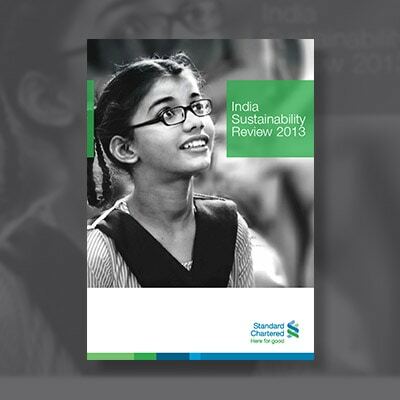 In India in 2017, our NPS score was +39, marking a substantial improvement over the 2016 score of +28. We engage with relevant authorities to play our part in supporting the effective functioning of the financial system and the broader economy. Globally, we are committed to complying with all legislation, rules and other regulatory requirements applicable to our businesses and operations in the jurisdictions within which we operate. Our compliance with legal and regulatory frameworks across our markets ensures that the Group meets its obligations. In turn, this supports the resilience and effective functioning of the Group and the broader financial system and economy. On a day-to-day basis, our Compliance and Public Affairs functions are responsible for identifying changes to financial services regulation, ensuring that we comply with all requirements and help to manage relationships. In India, we actively engage with governments, regulators and policymakers to share insights and technical expertise on key policy issues. The focus is on enhancing regulatory relationships and involvement in regulatory reform. This engagement supports the development of best practice and adoption of consistent approaches across the industry. We also maintain ongoing dialogue with various stakeholders through participation in industry working groups, and submit responses to formal consultations. Our peers and other expert industry bodies with whom we collaborate extensively include the Confederation of Indian Industry (CII), Federation of Indian Chambers of Commerce and Industry (FICCI), and the Indian Banks Association (IBA). 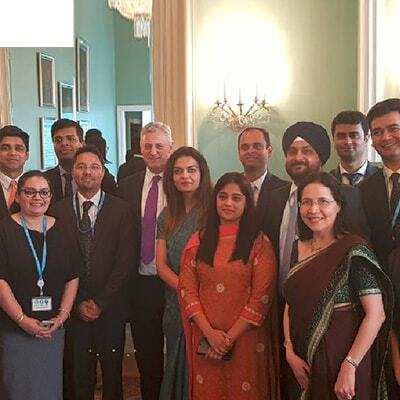 We are in a unique position to offer our expertise to India-UK Financial Partnership and UK India Business Council to develop policy and improve collaboration between banks in India and UK. We continue to be represented at the World Economic Forum’s Steering Committee on Enabling Infrastructure Investments in India. 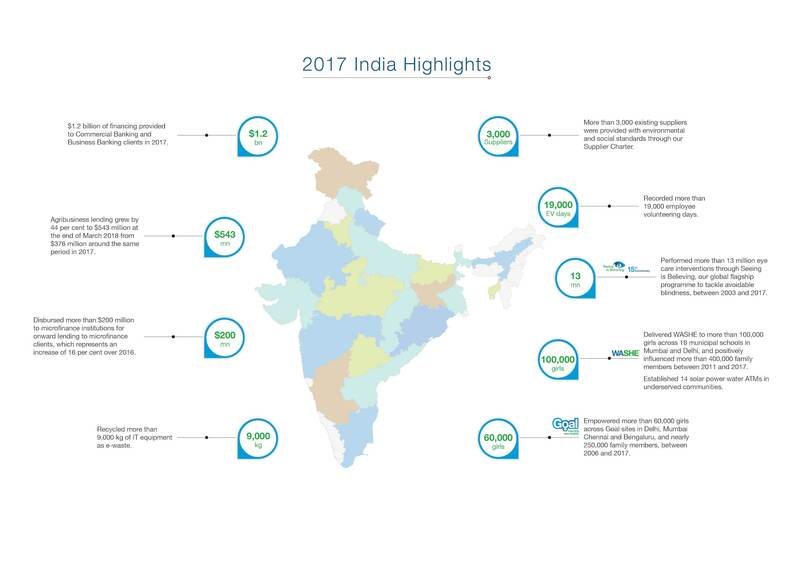 In India in 2017, we engaged with policymakers at all levels to exchange information on topics such as prudential rules, Brexit and trade promotion, Fintech, cyber security, fighting financial crime and Goods and Services Tax. Our Here for good brand promise is underpinned by our commitment to promote social and sustainable development. 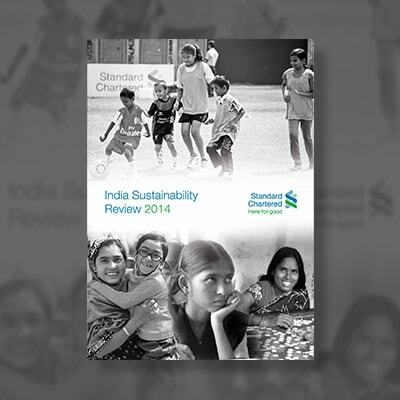 The Indian Government’s corporate social responsibility vision is innovative, and seeks to create a new paradigm for India’s social-economic development. This changing CSR landscape presents opportunities, and we intend to maximise these through strategic realignment of our approach to community investment, and create a significant social impact in communities by engaging various stakeholders. We aim to deliver robust returns and long-term sustainable value for our investors. The Group receives capital from equity and debt investors. This supports the execution of our business model. Our investor base includes active traders and long-term stakeholders, those interested solely in financial returns and those who are also concerned with environmental and social issues. As such, we engage with investors on all aspects of our financial, environmental and social performance. Whatever the nature of the investor, we treat them equally and aim to balance their diverse interests and expectations. We communicate with investors in several ways, including presenting scheduled results and adhoc media releases to announce developments. We are also included in the global sustainability indices, such as the Dow Jones Sustainability Index and the FTSE4Good, which provides investors with independent benchmarking data on our performance in these areas. We offer colleagues opportunities to learn and progress. We encourage them to improve, innovate, take ownership of their careers and succeed together. We are committed to creating a work environment that enables our colleagues’ diverse strengths to impact our clients and communities. Globally in 2017, the Board Remuneration Committee agreed a Fair Pay Charter, which sets out the principles that guide our entire reward and performance decision making. One of these principles is our ongoing commitment to rewarding colleagues in a way that is free from discrimination on the basis of diversity, including gender. During the same year, at the Group-level we launched our new valued behaviours. In 2018, we will fully embed these valued behaviours in how we select, on-board, recognise and reward people, beginning with integrating them into our performance management process. Our employee engagement survey has been an important way for us to gather feedback on how our colleagues feel about the organisation, the challenges we are facing and how we can make the Group a better place to work. The My Voice survey was launched in 2014 and in 2016 we introduced the Employee Net Promoter Score (eNPS) to understand if our colleagues would recommend us as a place to work. 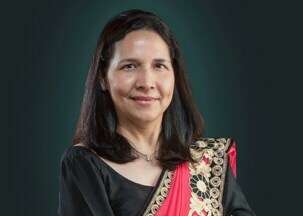 In 2017, we ran a short edition of My Voice, our employee engagement survey, which focused on the eNPS and manager and team effectiveness, to which over 80 per cent of our colleagues in India responded. The insight gained has been used to formulate action plans intended to resolve the highlighted issues. In 2018, we ran a further My Voice survey. We strive to operate as a responsible and sustainable company, driving prosperity through our core business, and collaborating with local partners to promote social and economic development. Our sustainability priorities – contributing to sustainable economic growth, being a responsible company and investing in communities – provide a framework for how we respond to the social and environmental concerns of our stakeholders, and create opportunities to improve livelihoods. These are supported by our 11 global Sustainability Aspirations, which set out measurable actions to achieve sustainable outcomes. 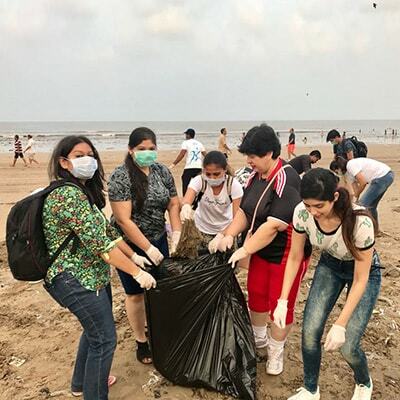 Aligned to the UN Sustainable Development Goals, the Aspirations were launched globally in 2017 to help address environmental and social matters identified by stakeholders and colleagues in our key markets. 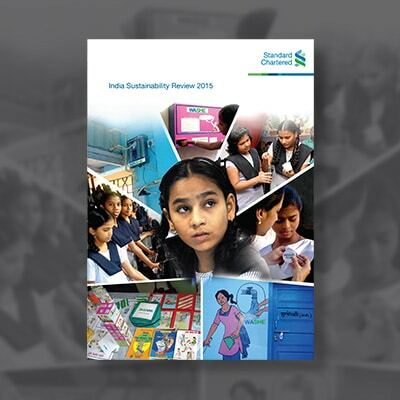 In India, our sustainable community programmes target the issues of health, education, employability and entrepreneurship. Digital technology is interwoven into various aspects of our community programmes to significantly improve the value they deliver to the society, as well as, guide their future sustainability. Seeing is Believing is our global flagship community programme which tackles avoidable blindness. In India, between 2003 and 2017 we have provided more than 13 million eye care interventions through a network of 125 vision centres across 22 states. In 2018, we launched a new project in Northeast India, and made a further investment to train and employ 100 underprivileged girls as certified ophthalmic paramedics by 2020. Our Seeing is Believing projects embrace and promote new technological advancements to deliver superior quality service and products, like the use of cloud-based mobile tablets for wider community outreach, or developing the Hummingbird phaco machine and Simply Reading application. 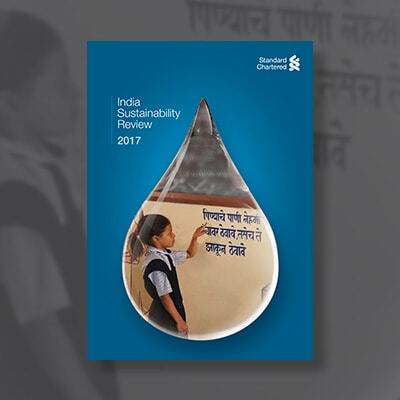 WASHE (Water, Sanitation, Hygiene and Education) is the Bank’s flagship community investment programme in India which provides access to water, sanitation facilities and education to adolescent girls in municipal schools, and disadvantaged communities at large. Between 2006 and 2017, we have impacted more than 100,000 girls in 18 schools across Maharashtra and Delhi. In 2018, we have added six new schools, thereby, expanding our WASHE school footprint to 24 schools pan India, reaching an additional 5,000 adolescent girls and 20,000 family members. 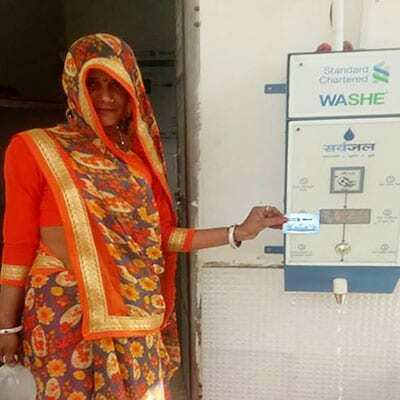 Since 2017, we have set up 14 solar water ATMs in technical partnership with Piramal Sarvajal, who is acknowledged as global pioneer in deploying remote tracking decentralised water solutions and solar powered, smart water vending machines (popularly known as Water ATMs). These water ATMs will benefit 4,000 people in the underserved communities of India. 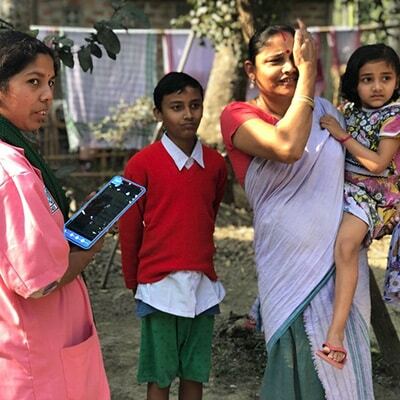 The WeSURE (Water for Enabling SUstainable Reforms) community project with the Confederation of Indian Industry (CII) Foundation and CII-Triveni Water Institute applies the world-class WATSCAN remote sensing tool to help villages transition from being drought-prone to drought-free. In 2018, we are strengthening watershed management in four villages of Aurangabad which will impact the lives and livelihoods of 5,000 farmers. Goal is our global education programme to empower girls and young women through sport and life-skills training. In India, the programme has empowered more than 18,000 girls in 2017, and more than 60,000 girls between 2006 and 2017.